This is all happening sorta fast but here's some information. Keep in mind these are just our expectations. 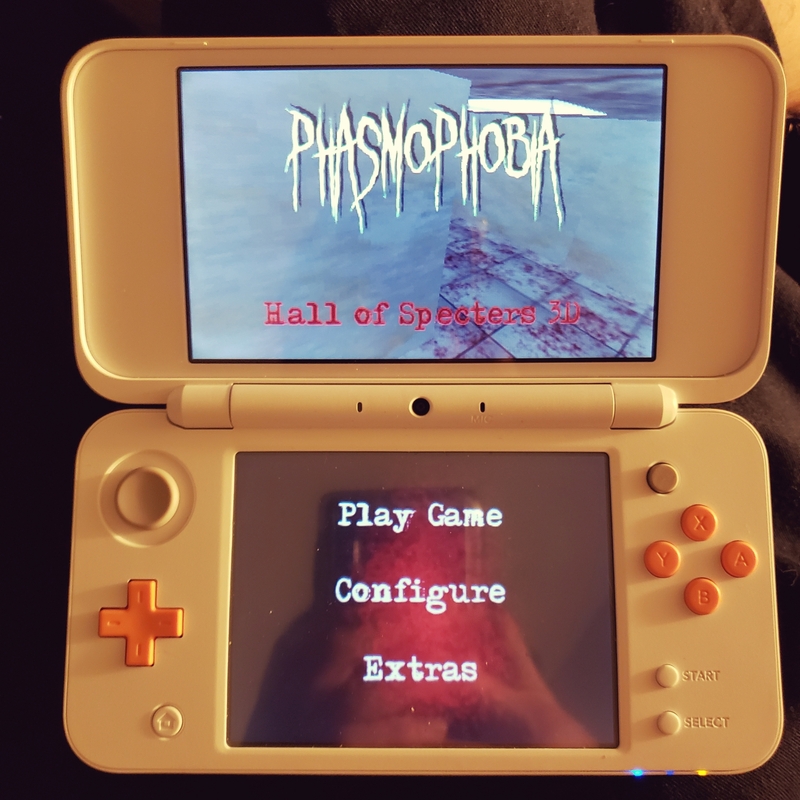 Yes, Phasmophobia: Hall of Specters is being developed for New 3DS and it is currently in its final steps of development. We plan to release it sometime next month (Oct 2018). The initial version will be a port of Phasmophobia: Hall of Specters with a number of added features and increased difficulty. The game will be digitally released in North America for $2.99 USD with an ESRB rating of T for teen. Plans for Europe release are still unconfirmed. Hall of Specters 3D will contain some varied alternate visuals, most of which to compensate the system limitations and exclusive features, similar to the VR port. The game will also recieve a few updates after launch, the content of said updates are still in discussion. More information will be released once it's confirmed! Thank you for the support!